Every where in the news these days it is all about EBOLA, EBOLA, and more EBOLA. The media has been stirring the pot with fear-based predictions of pandemics, millions of people eventually dying, and it’s taking its emotional toll on everyone. The first time I heard an Ebola news story I said to my friends, “Just watch. The next thing they will be pushing is mandatory vaccinations.” That prediction may not be far off. Long before I became a clinical psychologist I was a TV news researcher. Whenever my intuitive red flags go off, I start searching for more information. So this blog is to give you some life-saving information you may not have heard. If you don’t believe what I found, then do your own research and investigation, use some deductive reasoning, and decide for yourself. FACT: The U.S. Centers for Disease Control own a patent on a particular strain of Ebola known as “EboBun.” It’s patent No. CA2741523A1 and it was awarded in 2010. You can view it here. According to patent law, you can’t “own” a patent on something unless you can prove you invented it. Now, why would the CDC want to invent and patent a deadly virus unless: 1) they initially created it as a bioweapon; 2) they hope to claim proprietary rights to it so they can control and financially gain from vaccines related thereto; and/or 3) it’s a cover for something else, like ushering in increased government control (think the Department of Homeland Security on steroids). Wait a minute, this patent summary is from 2007 ? Which means this Ebola thing has been in the planning stages for quite a while. I’m sure the CDC will counter this by saying that EboBun is not the same variant currently believed to be circulating in West Africa, which is true. Clearly, the CDC needs to expand its patent portfolio to include more strains, and that may very well be why American Ebola victims have been brought to the United States in the first place. (There’s no medical reason to do so, and infectious disease experts have agreed on this point.) However, once the infected patients are on American soil, the CDC can take all the tissue and fluid samples they want, claim rights to the strain, and file a monopoly patent protection on that variant as well. Which means only they can profit from its invention. The “SUMMARY OF THE INVENTION” section of the patent document also clearly claims that the U.S. government is claiming “ownership” over all Ebola viruses that share as little as 70% similarity with the Ebola it “invented.” If you don’t believe me, read the patent for yourself. FACT: Sierra Leone sits on a veritable gold mine of natural resources. 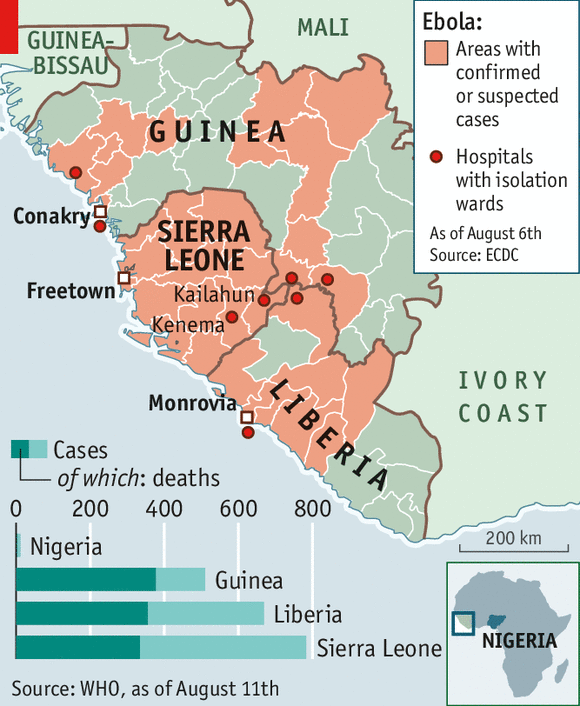 This particular Ebola outbreak first appeared in the West African country of Sierra Leo ne. Sierra Leone is the largest supplier of precious “Blood Diamonds.” These are the best quality diamonds in the world and people are willing to kill for them, hence the name “conflict” or “blood diamonds.” The diamond workers have been on strike for the last four months refusing to provide diamonds due to poor working conditions and slave labor pay. This has caused a financial ripple effect in the worldwide diamond business making a lot of gem dealers very unhappy. Another lesser known fact about Sierra Leone is that it sits on a vast and more recently discovered OIL reserve. Perhaps even the largest in all of Africa. The people have been fighting to keep out foreign oil companies determined to reap and pillage the wealth of their land and put in a large pipeline (like Keystone XL). Are you getting the picture? Most of this country’s oil is currently being sold to China. That makes Big Oil very unhappy. Suddenly Ebola breaks out in Sierra Leone. The people are immobilized with fear and are quickly being forced into mandatory quarantine camps. The protests stop—they have other far more threatening life and death issues to now deal with. Seeing an opportunity, the U.S. can’t wait to send in ground troops to Sierra Leone and neighboring countries, Nigeria, Liberia and Guinea, on the pretense of a humanitarian mission–the only way we would ever have been militarily allowed into these areas. The U.S. has never expressed much of an interest before in the humanitarian needs of Africa. But OIL, now that’s a game changer. The man alleges that those getting the vaccinations all died (even though they didn’t have Ebola-like symptoms). Whether you believe the man’s claims or not, you should still be asking: What’s in this vaccination that they are forcing on people? As someone who has had two different client’s children die within 24 hours after a vaccination, as well seen my cousin’s 5- year-old fully functioning son suddenly start crawling on the floor and losing serious cognitive function within 24 hours after a vaccination (consequently being classified as now severely autistic), I am not a proponent of vaccinations. Especially in light of CDC whistle blower, scientist William Thompson, recently coming out this year and admitting to being a part of a CDC cover-up linking autism to vaccinations. Makes you wonder what else they may not be telling us at the CDC. What’s a “really great job?” Vaccines are generally touted as a way to live longer and healthier. They don’t lower the population, they help increase it–unless the vaccine has other hidden objectives such as sterilization. I don’t know about you, but there’s nothing that would ever convince me to get a vaccination for Ebola, especially one that Bill Gates was behind. Yet, the fear will make people clamor for it, rush it through the testing process, and bring it to market before we know all the long list of potential side effects. I bet they’re counting on that. Which brings me back to my first “fact.” If the CDC, together with the U.S. government, did indeed invent Ebola, as their patent claims, they would not have done it without having also made an antidote to it at the same time (standard procedure). So why are they suddenly claiming they don’t have a cure and giving the contract to Tekmira (Monsanto)? Perhaps because it would look just a little bit too timely and suspicious? Adding to that, Bill Gates has just given an additional $50 million to the CDC in the name of fighting Ebola (see video below). I find this very disturbing in light of Bill Gates’ eugenics views, even though it may appear on the surface as a humanitarian and generous gesture on his part. Whenever there are too many red flags, always look deeper. But beware of the mainstream media. They have turned out to be very unreliable with regard to the truth. They screwed up big time on those infamous “weapons of mass destruction” and only reported what they were told, without doing any responsible independent digging. I think this is another false flag, like so many that have come before it (remember the swine flu pandemic hoax to sell vaccines?). 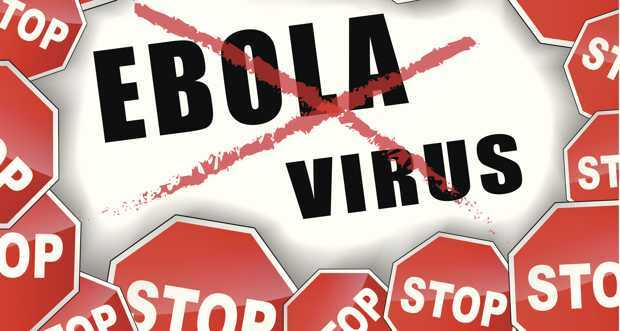 Perhaps we will never know some of the hidden motives behind the Ebola scare. There can be many. If it’s not about oil, then it’s about money. Is it to distract us from the news that Russia and China have been steadily dumping U.S. Treasury bonds while buying up the world’s remaining gold, signalling perhaps that they are preparing to dump the U.S. petro-dollar and do a re-set back to the gold standard? This would be the end of the U.S. dollar. Our economy has been on artificial life-support for years and is unfortunately not backed by gold. During a financial crisis, over-population would make the situation and clamor for resources even more dire. Or could it be something else entirely? I bet you thought when you stated reading that this article was going to be all about preventive measures to save you from Ebola. I’m sorry if I disappointed you, but good information is even more life-saving in the long run. It comes in handy when you have to make a tough decision on what to do or whom to believe. I will end with one very positive suggestion to keep in mind that I stumbled across in my research. Higher doses of Vitamin C have been shown to immediately stop the internal bleeding from Ebola (if indeed it is Ebola) when tested on animals. But, the drug and vaccine companies haven’t been able to patent Vitamin C so you are not going to hear about it on the 6 o’clock news. Again–do your research, be well, and stay informed!